James was all set to convert a bedroom into a bathroom. 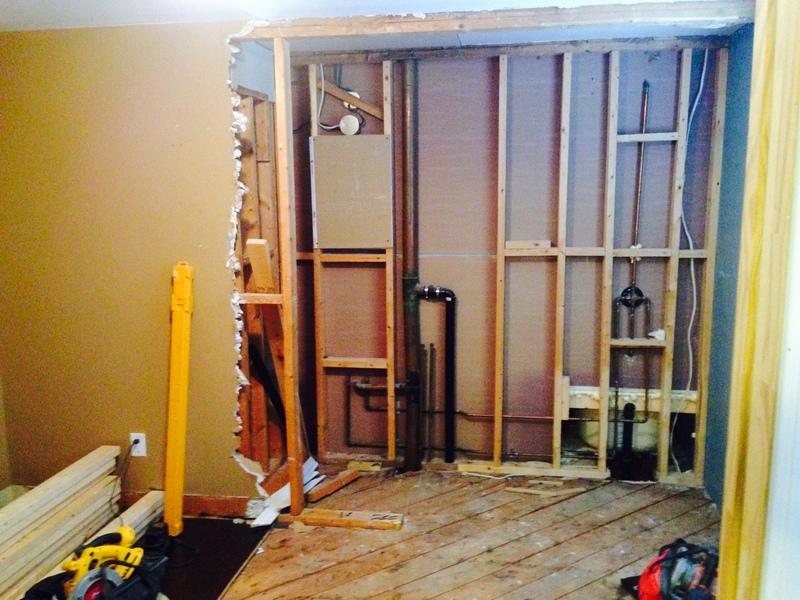 He did the demolition… and then took stock of the work to be done… and called us instead of doing the work himself. James found out about Fresh Reno from his colleague, Kevin, for whom we did this loft-turned-bedroom renovation and this deck build. Thanks, Kevin, we appreciate the recommendation. Day 1: James took care of demolishing the room that was formerly a bedroom. Day 5: The plumber (Penta Plumbing) and electrician have both done their thing. 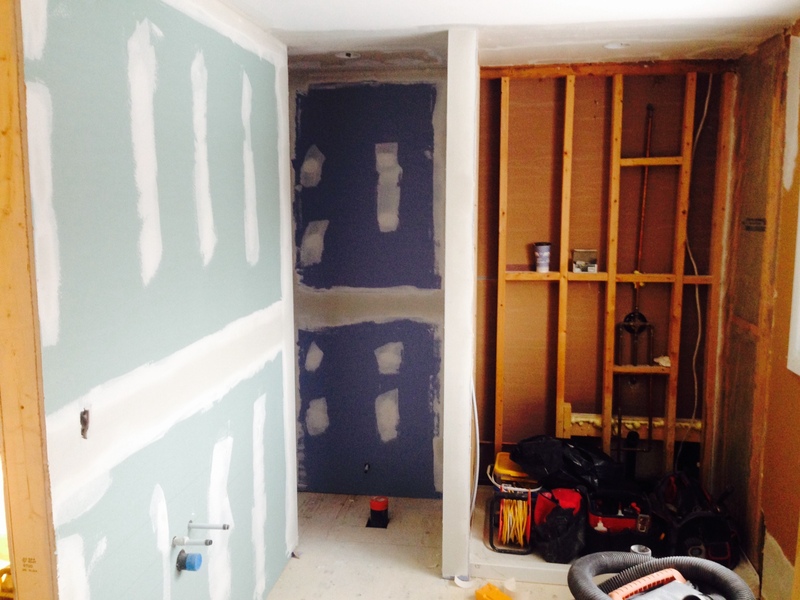 We’ve framed and drywalled the new walk-in closet and shower stall. Two coats of mud have been applied. 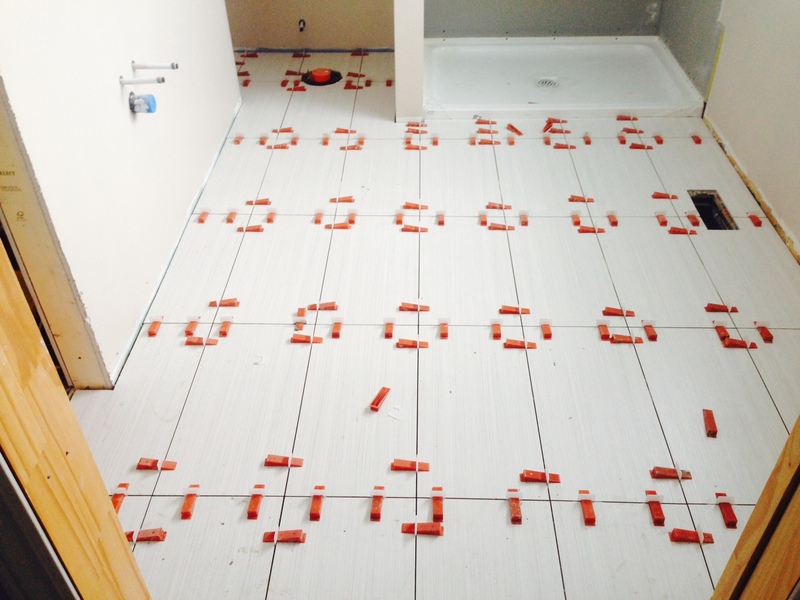 Day 7: Tiling is underway—Pasha collection from Home depot. 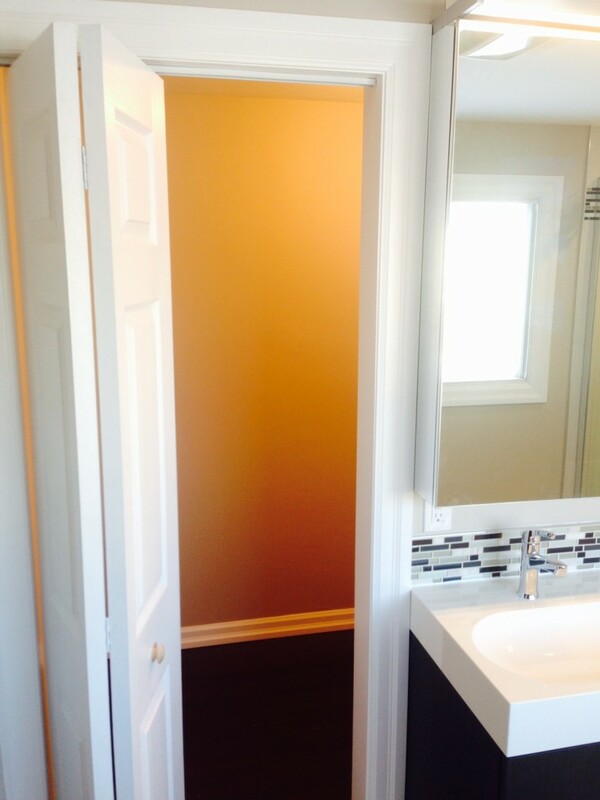 The bathroom is also painted in Doeskin Grey. 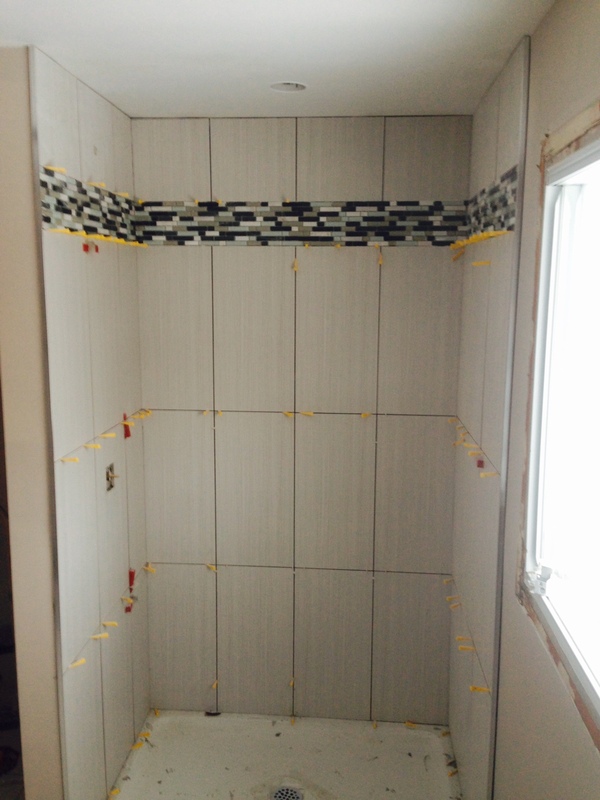 Day 8: The shower stall is tiled and the bathroom will be complete this week—nearly a full week before Christmas. Day 12: This door beside the vanity leads to a walk-in closet. Day 12: The bathroom is complete! As we were leaving today, James said that we’d “exceeded his expectations”. Thanks James!